Please give a warm welcome to Heidi Diamond, new Dean of Business, Design and Workforce at Cañada College. 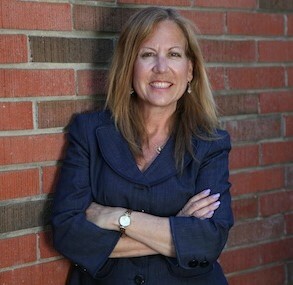 Prior to coming to Cañada College, Heidi worked at West Valley College for fifteen years in a variety of institutional and student-focused positions. Recently, Heidi served as the Chair for West Valley College’s Business Division. In this role, Heidi led, developed, and supported programs in accounting, business, real estate, digital media, computer applications, computer information systems and court reporting. As a Grants Project Director, Heidi managed numerous grants that established viable pathways for high school students transitioning to college. While serving as the college’s Faculty Accreditation Liaison Officer and SLO Assessment Coordinator, Heidi helped ensure that the college’s accreditation status was reaffirmed with commendations. Heidi has taught a wide range of face-to-face and online business courses including Marketing Principles, Organizational Behavior, Strategic Management, and Small Business Startup. Heidi also led the team that designed and implemented a college-wide Online Instructor Certification program. Heidi holds a Bachelor of Science degree in Industrial and Labor Relations from Cornell University and a Masters degree in Business Administration from Baruch College. Heidi completed additional graduate work in Spanish literature at the University of Salamanca. Having just completed course work in fine arts and drawing, Heidi is passionate about establishing meaningful linkages between design thinking and business as they relate to ideation and entrepreneurship.